I promised that I would be posting some projects today but then I found out that I'm not allowed to post until Monday. So, instead, I'm providing a sneak peek of my projects. I'm really excited about these projects using materials that will be available through the Seaside Crafts Bulk Buy program. 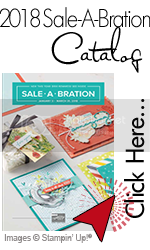 I love the Bulk Buy program because it allows me to purchase common items that I use for craft projects that compliment my love of Stampin' Up! products. The items in this sneak peek will be revealed on Monday. I hope you stop by then to check out my projects. There may also be a few additional items showcased throughout next week! I'm really excited about this next Bulk Buy. Amazing! 24 Hours Only! Free Shipping from Stampin’ Up!